Each Multi-seed pellet contains approx. 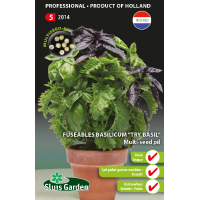 8 seeds, which guarantees the growth of 3 different varieties (Genovese, curly and dark red). Best to sow directly in the pot in which you wish to grow the plant, or transplant the young plant to a warm spot in your vegetable garden at a later date. 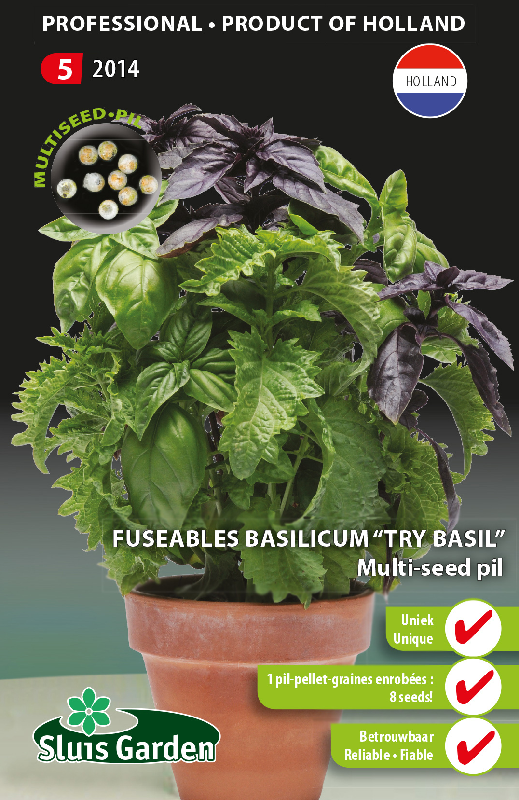 This unique pellet enables you to grow basil easily, reliably and quickly for your tomato salad, pesto, pasta….. A unique patented product.